Website speed is a significant factor if you want your visitors to stay longer and increase conversion rates — even Google acknowledges speedy sites. Several optimizing and caching techniques are available to increase speed. When it comes to WordPress, there are a plethora of plugins available to speed up your website. However, while searching for an optimization plugin for my website, I ended up with WP Rocket after toying around several other related plugins. It’s by far the best premium caching solution available for WordPress. After using it personally, I can assure that it is indeed worth your money. WP Rocket is a caching plugin for WordPress which combines both simplicity and efficiency. It rockets your blog speed through various optimization and caching techniques. WP Rocket is a combined effort of three awesome folks, i.e., Julio Potier, Jonathan Buttigieg, and Jean-Baptiste Marchand-Arvier in late 2013. Recently, they even celebrated their fourth anniversary. I still remember my early days with WordPress when W3 Total Cache & WP Super Cache were the biggies of this niche. 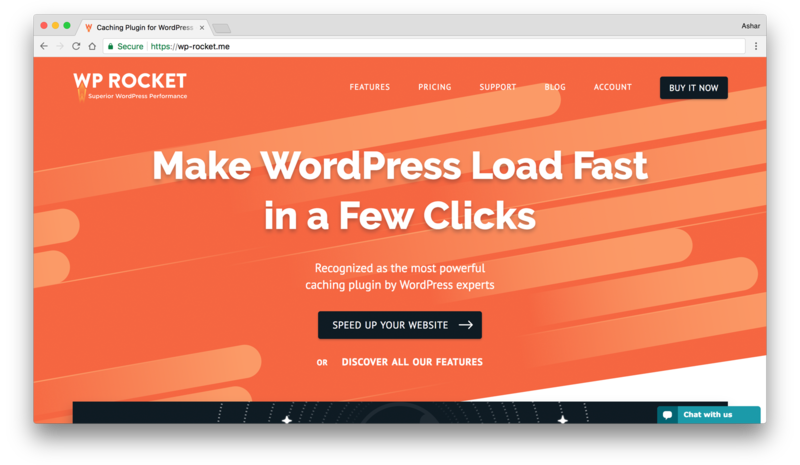 Despite the premium model, its exceptional features and performance have helped WP Rocket stand out as a reliable caching solution. WP Rocket starts at $39 with one-year of support and updates for one website. ✊ At the fourth anniversary of, they marked 38,500+ sales and achieved a 40% annual renewal rate. Kudos to the entire team. Let’s dive into the features of this plugin, shall we? WP Rocket comes with several out of the box features. 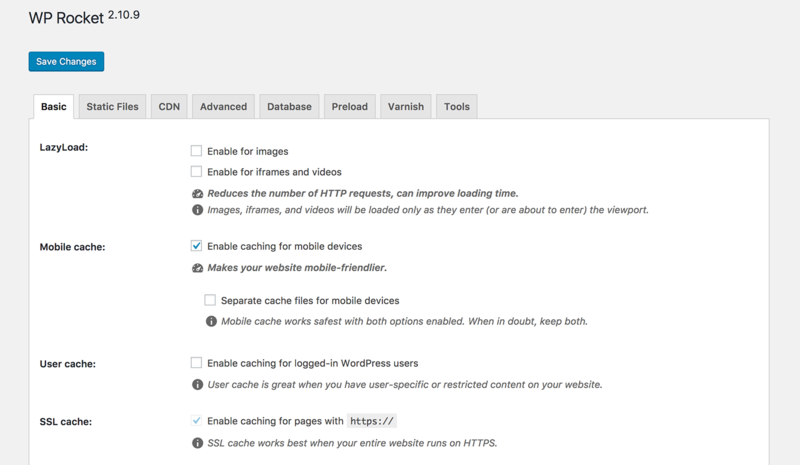 Let’s discuss a few of these which sets WP Rocket apart from other caching plugins. WP Rocket starts functioning as soon as you activate it. 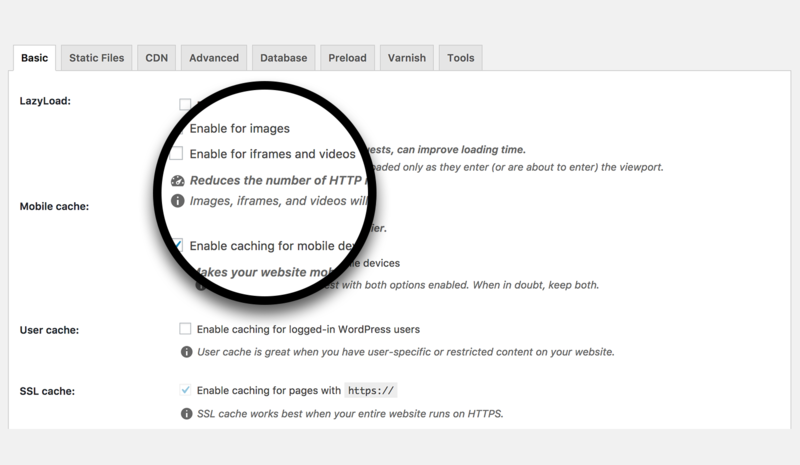 It saves you from the hassle of watching long and boring video tutorials just to set up your caching plugin. To customize the settings, go to Settings > WP Rocket in your dashboard. It’s pretty straightforward to configure. For details, you can look at its documentation. Their documentation team has put in great effort to build this document. WP Rocket is the only cache plugin which integrates more than 80% of the web performance good practices even without any option activated. Its options can be defined as a bonus since their activation is not mandatory to improve the website loading time. XML sitemaps are essential for the SEO of your website. They help Google to map the pages of your site. WP Rocket enables you to preload all the URLs of your website in your XML sitemap with the click of a button. WP Rocket automatically detects the sitemaps available on your website. 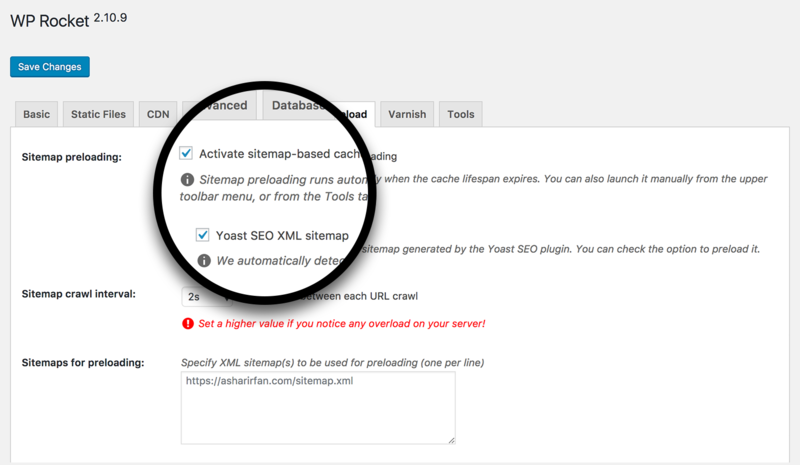 It seamlessly integrates with SEO by Yoast, All in one SEO, and Jetpack to fetch the sitemap. You can also configure a site Preload bot with WP Rocket. Database optimization is another factor to keep your site speed healthy. Websites with bloated databases tend to affect the loading speed. WP Rocket takes care of this task as well. Lazy loading makes images to load only when you scroll down the page. It means if you don’t scroll to the bottom of the page, images at the bottom will not be loaded. You might have seen this effect on sites like YouTube, Facebook, etc. These companies improve their page load time a lot by using lazyload images effect. Using WP Rocket, you can also achieve this effect. Navigate to Basic settings tab of WP Rocket to activate it. If you’re running an e-commerce site, then you might want to keep the cache of your website clear. Because you do not want to serve your static content from the cache on pages like cart and checkout. WP Rocket rescues you from this hassle. It automatically ignores the cart and checkout pages for the major e-commerce solutions available for WordPress like WooCommerce, Easy Digital Downloads, WP-Shop, etc. ⚙️ How WP Rocket Works? WP Rocket keeps your dashboard clean. 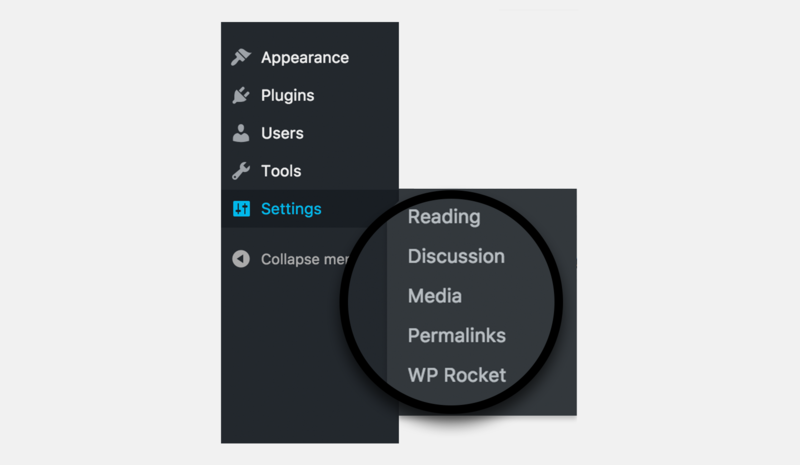 After installing and activating the plugin, it simply adds a page called WP Rocket in the settings menu of the WordPress dashboard. Like I mentioned before, the basic settings of the plugin are pre-configured. 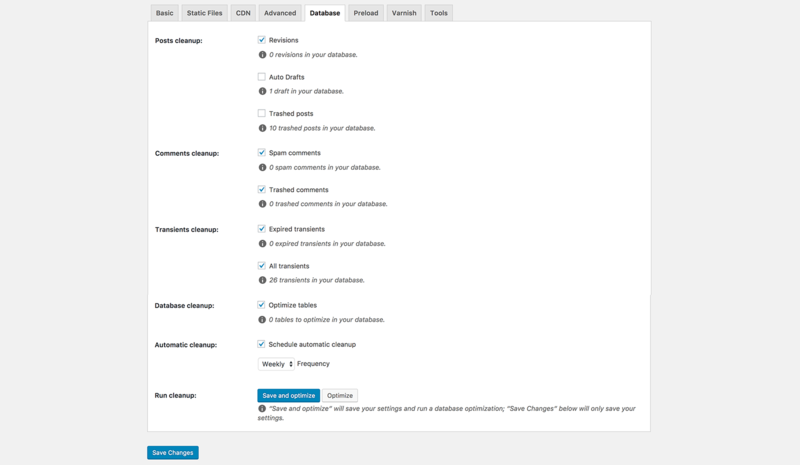 You can use the options available on WP Rocket settings page to configure some extra options for your website. WP Rocket is a proud sponsor of WPCouple. They have been kind enough to give away a discount of 20% off on all the licenses of WP Rocket to our readers. You can use the coupon code “wpcouple20” before you check out to avail this offer. 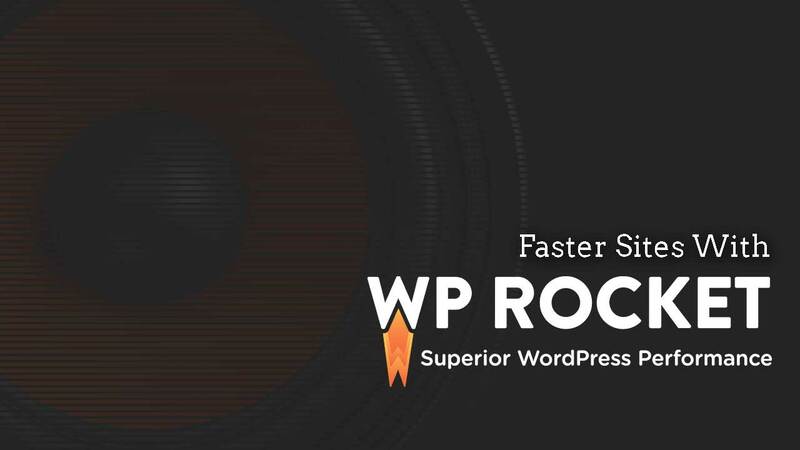 WP Rocket is a simple and elegant WordPress caching plugin, and it is full of exciting features that help you make your site run faster than any other optimization plugin. WP Rocket is available for purchase on their website. If you’ve decided to buy this plugin for your website, do let me know about your experience through comments.